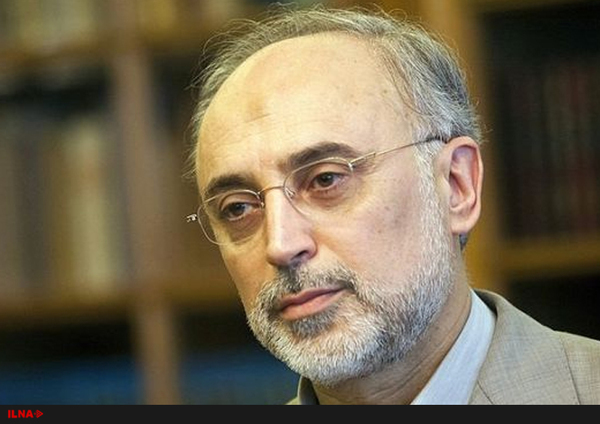 Head of the Atomic Energy Organization of Iran (AEOI) Ali Akbar Salehi has arrived in Brussels for a three-day visit to hold talks with Belgian and European Union officials on ways to improve nuclear cooperation. Heading a delegation, the AEOI chief left Tehran for Brussels, which also hosts the EU headquarters, on Monday at the invitation of the bloc’s Commissioner for Climate Action and Energy Miguel Arias Cañete and Belgian officials. Salehi, who is a vice president and a senior member of the Iranian team negotiating with six global powers, plans to meet Cañete, the High Representative of the European Union for Foreign Affairs and Security Policy Federica Mogherini, Belgian Deputy Prime Minister and Minister of Foreign Affairs and European Affairs Didier Reynders and a number of other EU and Belgian authorities. The sides will discuss Iran’s cooperation with the EU and Belgium, particularly on the use of nuclear energy for peaceful purposes. They are also likely to agree or sign documents for the expansion of cooperation. Iran and the five permanent members of the United Nations Security Council – the United States, Britain, France, Russia and China – plus Germany signed the nuclear agreement, known as the Joint Comprehensive Plan of Action (JCPOA), on July 14, 2015. Under the JCPOA, which took effect in January, Iran undertook to put limitations on its nuclear program in exchange for the removal of nuclear-related sanctions imposed on Tehran. Since the JCPOA implementation, the International Atomic Energy Agency (IAEA) has released regular reports confirming the peaceful nature of Iran’s nuclear activities and Tehran’s commitment to the agreement. In April, IAEA Director General Yukiya Amano hailed Iran for respecting the nuclear accord, saying the Islamic Republic has even gone beyond its obligations. Iran “is implementing not just its safeguards agreement with the Agency, but also its Additional Protocol” to the Non-Proliferation Treaty (NPT), which allows for snap inspection of nuclear facilities, said Amano.